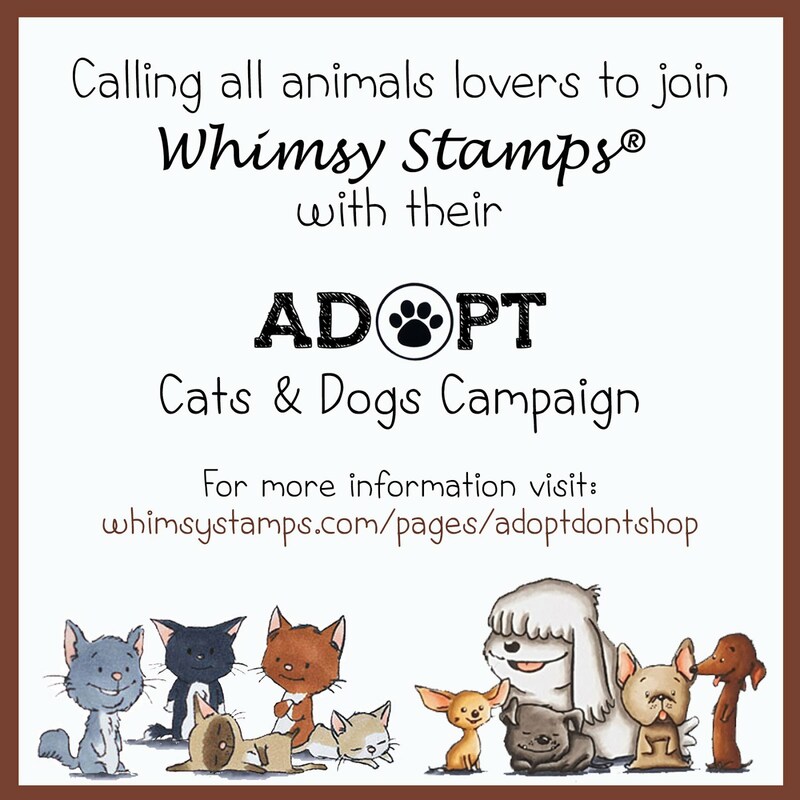 Are you enjoying all of the new Whimsy summer products, I know I am? For my post today I've made a shaker card and have combined the NEW Sweet and Salty set with (whodathunkit) one of the Farmhouse Collection sets called Farmhouse Vases. I think these two unlikely sets are a great match for each other ;) what do you think? I stamped the mason jar from Farmhouse Vases and hand cut it out. Then I sponged on some blue ink using the Making Waves stencil (such a cool stencil that has 3 different wave options). Once I had the waves stenciled I stamped the seaweed which is also from the Farmhouse Vases set. 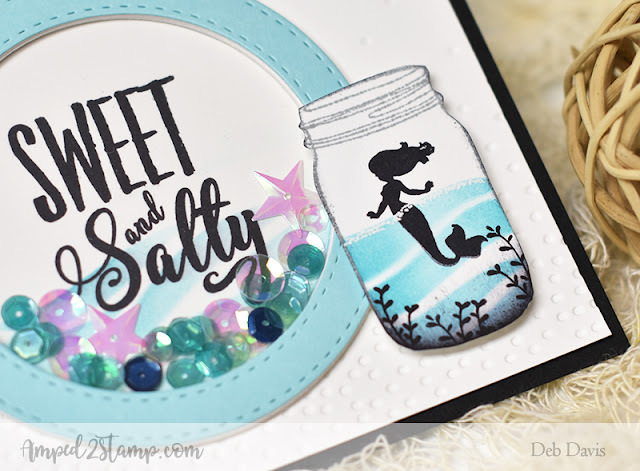 The Sweet and Salty mermaid was stamped and then I used a white gel pen to dot on the waterline following the stencil path. I used the Shaker Maker Combo Die for my shaker circle and some of the pretty Star Spangled sequins for the inside. 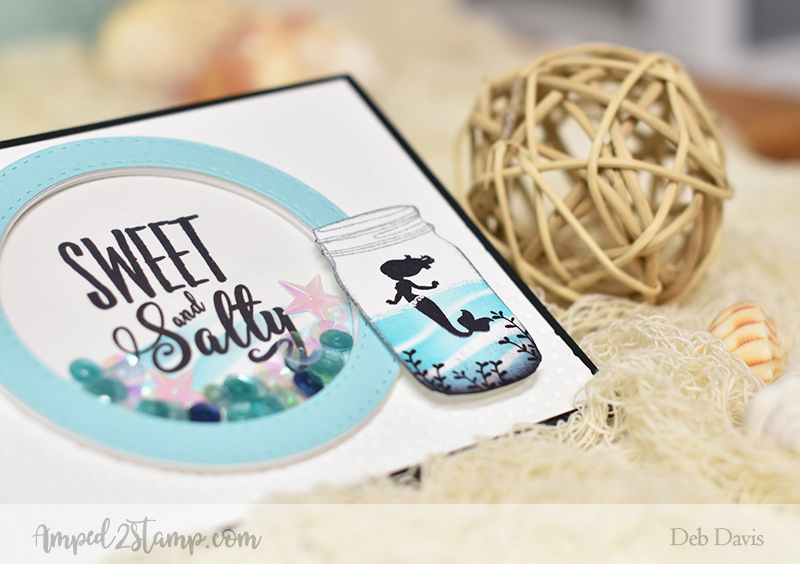 The dotted texture on the white background is from the Falling Dots embossing folder.